Civic17 is a non-partisan volunteer organization that connects Ward 17 residents to each other and to opportunities to engage in local and city-wide civic issues. Working Women Community Centre is a Toronto-based organization that provides immigrant women with opportunities to improve the quality of their lives, as well as the lives of those in their families and community. Established in 1976, WWCC provides programs and services in over 25 languages throughout five locations across the City of Toronto. Programs include: job retraining, language classes, parenting, tutoring and mentoring. Working Women shows immigrant women that they have the ability to live a fully productive and engaged life and that doing so has a positive effect on those around them. To volunteer or donate: Working Women. Art Starts is an artistic hub of activity in one of the most culturally, racially and linguistically diverse areas of Toronto, a unique arts facility determined to reflect the different ethnicities of our communities. Together with residents they conceptualize and craft permanent public art installations. They dance, perform, sing, compose, write, design, exhibit, laugh and learn. Skills for Change is a nationally recognized organization that has been offering programs for new Canadians in the Toronto area since 1983. These include: information and referral, French and English language assessment, English language instruction, integrated language/skills training, employment preparation, business skills, mentoring and settlement services. It is known for pioneering programs that respond to shifting immigration and workplace trends and lead to employment. Amongst the community bake-ovens and lush gardens of Toronto’s Dufferin Grove Park, Clay & Paper Theatre has been changing the world. Completely. Irrevocably. Medieval mystery plays, Punch and Judy shows, African myths, Indonesian shadow puppetry, Native Canadian masks – all these and more have been influencing Clay & Paper Theatre since its birth in 1994. This is theatre on the ground, for the groundlings, in the park and on the street. This is theatre of exaggeration, of giant puppetry, of satire and wit gone awry. This is a little theatre company asking big questions with humour and irreverence. Frontier College is a national literacy organization with its main office in the Yonge & St. Clair area. It operates a variety of literacy programs in locations across Canada. The organization recruits and trains volunteers to work with children, teens and adults in different settings. Frontier also helps other community-based organizations set up and run their own literacy programs. As Canada’s original literacy organization, Frontier College has been providing programs from coast to coast since 1899 and has helped millions of Canadians improve their literacy skills. 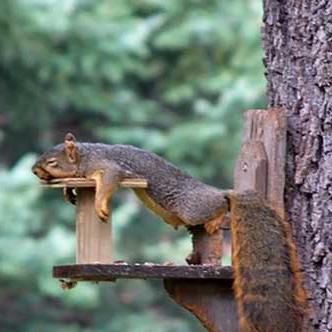 If you would like to join their network of volunteers, visit Frontier College Programs Near You. Red Pepper Spectacle Arts is a not-for-profit community artist run organization based in Kensington Market which produces the annual Kensington Market Winter Solstice Parade and Celebration. 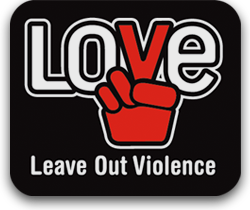 Leave Out Violence (LOVE) is a non-profit organization that believes violence in the lives of youth and in our communities can be reduced through media-based educational programs and leadership training. Since 1993, LOVE has helped youth who have been challenged by violence in their lives to become leaders who are able to communicate an authentic message of non-violence among their peers and extended community. St. Clair Kick It! brings together a network of artists, sports enthusiasts, business owners and residents interested in soccer culture and committed to the economic and social development of the communities adjoining St. Clair West. The festival offers an opportunity to consider and commemorate the historic roots of soccer on St. Clair, starting with the spontaneous street celebration, never before seen in Toronto, which erupted with Italy’s 1982 World Cup win. Over 300,000 people converged on the street to celebrate, marking a turning point in the cultural identity of the city as a diverse, multicultural and cosmopolitan centre.